Ven Begamudré was born in Bangalore, India in 1956 and emigrated to Canada with his family when he was six. In addition to short stories and novels, Begamudré has written a biography of Isaac Brock for young adults, and has edited or co-edited a couple of literary collections. He has completed six writer-in-residence appointments including the Canada-Scotland Exchange. Begamudré has a degree in public administration from Carleton University and an MFA in creative writing from Warren Wilson College in Asheville, N.C. He lives in Regina, Saskatchewan and the island of Bali. A deserted woman has an affair with a Hindu god while her husband lusts for jewels that are guarded by cobras. A widower retraces the last European holiday he took with his wife. Excursions are made into the personal and political absurdities of language and naming. 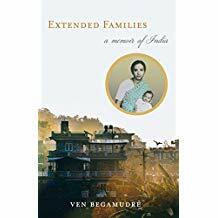 Whether it’s a bus tour in Mumbai, a café stop in Lausanne, or a sunset walk along the Bay of Bengal — Ven Begamudré’s journeys are filled with longing, desire and a tenderness that persists beyond reason. Lantzville, B.C. : Oolichan Books, 1997. Regina, Sask. : Coteau Books, 2002. Lantzville, B.C. : Oolichan Books, 1990. The stories reflect a world that has become truly a global village. Begamudré’s characters travel back and forth between India, Europe, and North America with ease, yet once they have left their roots they experience a profound sense of separation and isolation. Erin, Ont. : Porcupine’s Quill, 1986. Lantzville, B.C. : Oolichan Books, 1993. Kentville, N.S. : Gaspereau Press, 2008. [Vishnu Dreams] combines Hindu mythology with the story of a family. Through the veil of Vishnu’s unions with Lakshmi and his incarnation in the tale of Manu and the fish, the novel portrays a pair of siblings as they navigate 1960s North American culture under the weight of their emotionally abusive father and ambitious mother. By day Subhas and Durga master the logistics of junior highschool in Bethlehem, Pennsylvania, while at night they watch the disintegration of their parents’ marriage. “Out of sync.” In So Long Been Dreaming: Postcolonial Science Fiction & Fantasy, ed. Nalo Hopkinson and Uppinder Mehan, 217-228. Vancouver: Arsenal Pulp Press, 2004. “Word Games.” First published in the journal Canadian Fiction Magazine. It was shortlisted for the first annual awarding of The Journey Prize. It appeared in The Journey Prize Anthology: The Best Short Fiction From Canada’s Literary Journals (Toronto: M&S, 1989). Begamudré, Ven. 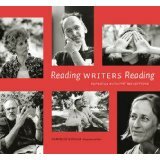 “Why Benny Used to Read.” In Reading Writers Reading: Canadian Authors’ Reflections. Danielle Schaub, photographer and ed. Edmonton: University of Alberta Press, 2006, 244-245. Chilana, Rajwant Singh. “Ven Begamudé.” In South Asian Writers in Canada: A Bio-Bibliographical Study. Surrey, BC: Asian Publications, 2017, 303. Mukherjee, Arun. “‘A Planet of Eccentrics’: Begamudré’s Fantastic India.” In Oppositional Aesthetics: Readings from a Hyphenated Space. Toronto: TSAR, 1994, 158-163.